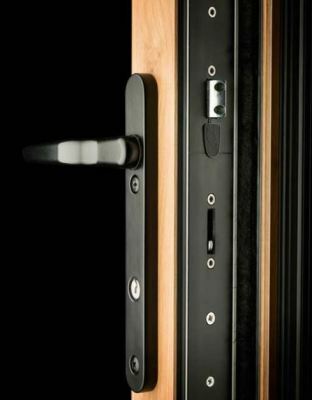 Soper Home Aluminium doors have dramatically improved in style, performance and security over the years. Our aluminium door range includes residential, commercial, patio and bi-fold designs to meet your needs. 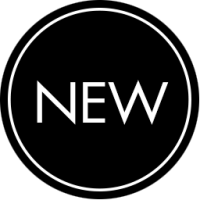 Our choice of aluminium frames, including flat and Ovolo profile details will allow you to match existing building features and complement the character of any property. 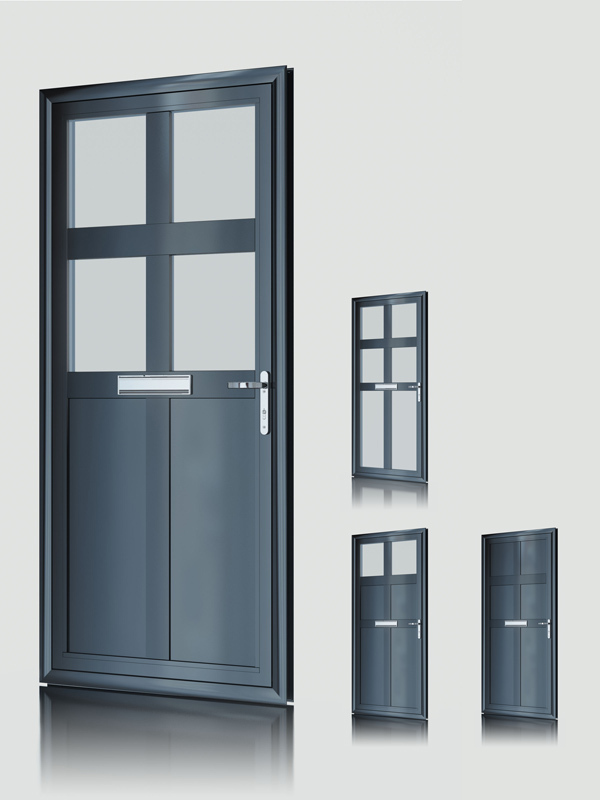 Our exclusive range is available as a front or rear entrance door, offering a choice of different styles and colours. Our Alumina Bi-folding Doors breaks new ground with supreme strength, high security, low U values, sculptured lines and an optional warm touch foiled exterior. 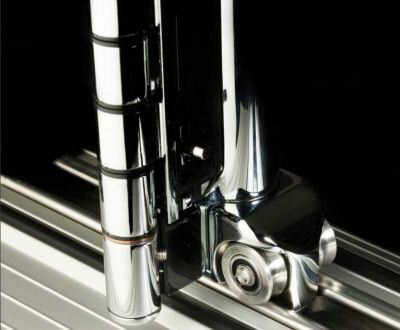 Its clear to see that whilst the Alumina Bi-folding door is aluminium it has strong PVCu influences so matches well with existing PVCu installations. 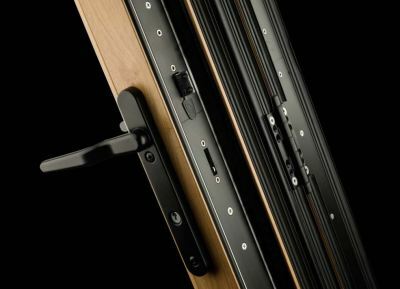 As well as a combined lock and thermal insert, it also features a high strength engineering polymer lock body which acks as a thermal break, boosting the thermal performance compared to traditional aluminium doors. 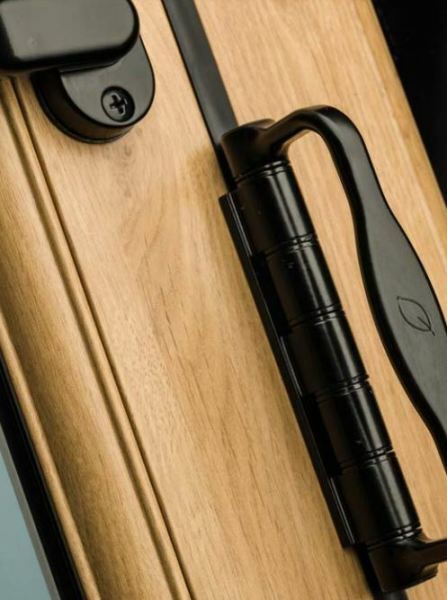 Alumina doors are supplied as standard in plain white, black or grey powder coated finishes. 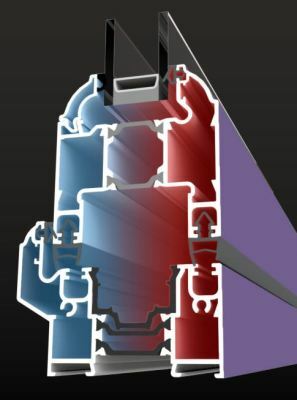 Alumina bi-folds can also be ordered with a wide range of different coloured precision factory-fitted foils, ensuring a perfect match to our PVCu windows and doors. 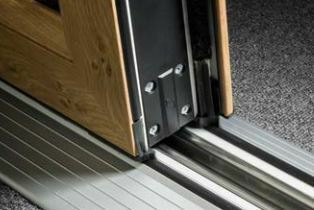 All Alumina bi-folding doors are available with many different threshold options to give your customers plenty of choice.